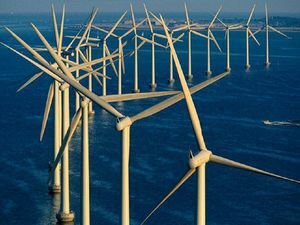 Whether you view them as the future of energy, or an eye sore littering the UK coast line, opinions on offshore wind farms are chalk and cheese across Britain. This week the government came under fire from energy industry experts who claimed that the £12 billion in subsidies that was offered to wind energy projects last year was far too generous, and will increase the price of energy bills for years to come. Experts have suggested that these inflated prices are the result of a lack of competition when offering out subsidies. Yet, when Benj Sykes, DONG energy’s head of wind energy, was asked if they could have produced the project for any cheaper, he felt this was not the case. Despite numerous warnings from industry bodies, such as the National Audit Office and the Competition and Markets Authority, consumers have been left to foot a subsidies bill of £2 billion by UK government ministers. Yet despite this, the government are under further pressure to invest more in wind power and move generation onshore with larger wind turbines in an effort to provide consumers with better value for money. The DECC have supported further investment by stating that a certain level of investment is necessary in order to establish trust amongst investors in green energy technology. “This Government has changed national planning guidance (relating to onshore wind) to ensure that proper weight should be given to the protection of England’s valuable landscape and heritage.